Hard to believe, but it’s that time of year again. You know when CAD geeks of all design disciplines come together in the fabulous Las Vegas, NV for this little event Autodesk likes to call Autodesk University. Even though AU doesn’t technically start until tomorrow, there’s still plenty of AU related events to take part in. Shortly after arriving this morning I got to sit down for an interview with Dave Graveline. 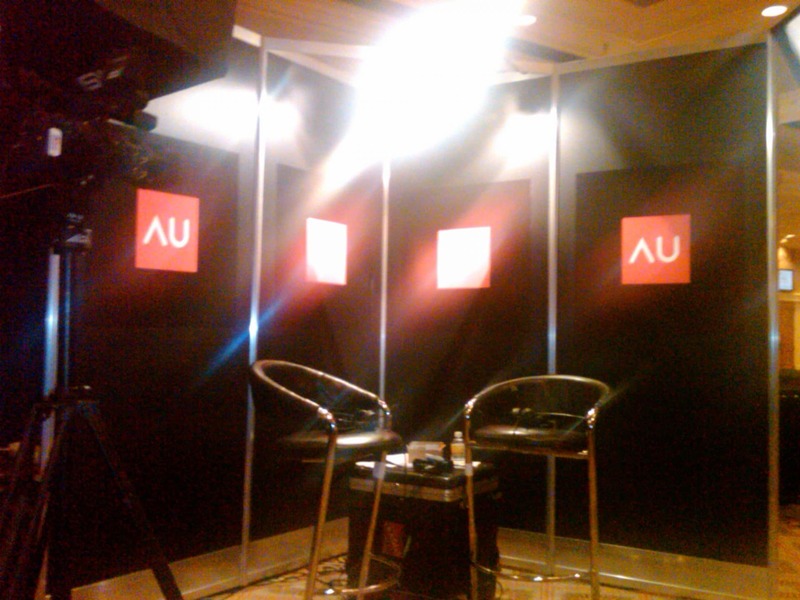 Those of you signed up for AU Virtual will be able to stream the entire interview to your desktop this week. I will be sitting down with Dave once again tomorrow to do an interview for his radio show “Into tomorrow”. I’m not quite sure when that interview will air, but I’m told you can view it on Dave’s website www.graveline.com. This evening will play host to a couple events including the blogger and speaker social (separate events sharing the same location). I’ll compile some photos and perhaps make another post later this evening. Until then be sure to follow my twitter feed (found in the sidebar to the right). Donnie, good to see you again this year. You’ll be getting a vote from me for AUGI BoD. All I ask is that you do your best and make this year’s board one that cares about us “little” guys.